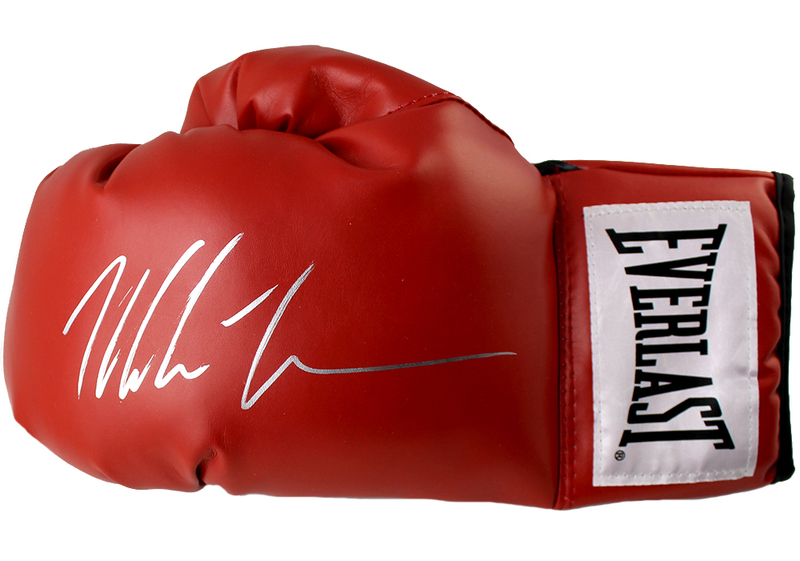 These Everlast boxing gloves have been personally hand signed by Mike Tyson. Each autographed glove includes an individually numbered TRISTAR Authentic hologram. Mike Tyson is a former undisputed World Heavyweight Champion who was the youngest boxer to win the WBC, WBA, and IBF heavyweight titles. During his career, Tyson successfully defended the World Heavyweight Championshp nine times. He retired from boxing with 50 wins, 44 by knockout, and 6 losses. Tyson was inducted into the International Boxing Hall of Fame in 2011. Note: Left and right hand gloves are shipped at random, but you may enter your request in the Comments section at checkout.